True Blue Too is a wide body four stateroom configuration, with an enclosed watch birth and pilothouse day head. She extremely well equipped with low engine hours (3174). Many brokers will quote there listings to be "Maintained with an open check book" This is truly the case with True Blue Too. Her owners have made it known to always, "Have her cruise ready" True Blue Too is easy to see at Old Port Cove in beautiful North Palm Beach Florida. 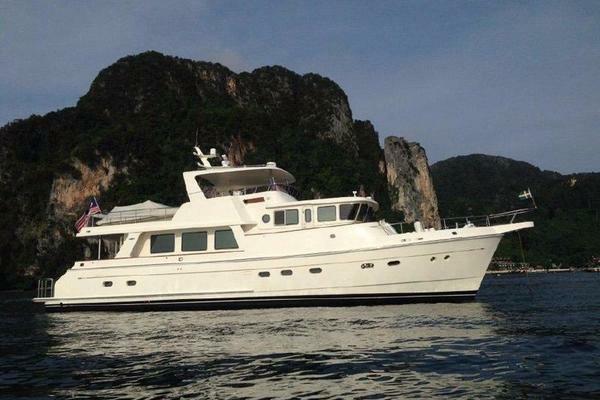 United Yacht Sales New Jersey would love to guide you through a personal showing of this 62' Nordhavn 62 2004. This yacht for sale is located in Cruising The Bahama's, Florida and priced at $1,100,000. For a showing please contact us by filling out the form on this page and we will get back to you shortly!